Looking for a new pool for your summer enjoyment? Just fill out the form and you will be contacted soon! Working with Pete Kelly was a pleasure from the beginning investigative talks to determine if we could install a pool to the ongoing support he offers as we become comfortable managing it. Close friends of ours recommended Pete to us and we experienced the same “top notch” guidance, quality installation oversight and problem solving expertise as our friends’ did. The end result is a beautiful pool which very much complements our setting, has exceeded our expectations and is getting rave reviews by family and friends. Much of the installation was done while we were away. Pete’s reputation and personal assurances that he would handle all aspects of the job in our absence gave us the peace of mind to move forward with the project ahead of our expectations. Pete’s crews were exceedingly respectful of our neighbors and went to great lengths to navigate around certain landscaping elements we wanted to maintain. Without a question, we would use and we recommend Pete Kelly for your pool design and installation. We could not be happier customers. We wanted to let you know how happy we are with our pool. You made the whole experience so smooth, it was very clear to us how much you cared that we ended up with the best outdoor space possible, while working within our budget. We especially appreciated your patience with our endless design ideas, how you listened and challenged us to make the best of the space we had. The end result is fantastic, we could not be more pleased. Thank you so much! In the Fall of last year (2014) we decided to research installing a pool for our Outer Banks home that we purchased in June. Our realtor recommended Caribbean Pools & Spas so we gave them a call and set up a time to meet at the house to examine the area. Pete Kelly met us at the house and spent a significant amount of time discussing various options for a pool especially given our limited yard space. He was extremely helpful not only about installing the pool but educating us on what we needed to know to own one including the benefits to our rental property. Thanks in large part to the valuable information Pete provided us we made the decision to move forward with installing a pool for our home. This project was more than just a pool, it included some excavation work, fencing and a Trellis. We obtained proposals from three different companies to complete our pool project including Caribbean Pools & Spas in late September. It was important to us to get the project completed before the end of the year and the start of the colder weather. Hands down Caribbean Pools & Spas was our top choice due to their knowledge, customer service and attention to details. Pete gave us some great suggestions including an idea to install the fencing in a way that made the yard appear much larger and provided some shaded area enclosed under the carport of the home. Since we were unable to be at the house while the project was being completed, because we live a distance away, it was extremely important to us to work with someone who would have our best interest in mind and provide updates on a regular basis. Pete handled all the details of the entire project including approvals, permits and excavation work. He communicated with us regularly during the entire project, answered all of our questions and sent us pictures as the job progressed. We felt that the project and our home was in good hands, so we never had to worry things were not being completed to our satisfaction. In fact we became friends with Pete during the entire process of installing our pool and the finished product looks fantastic. We now have our annual maintenance for the pool and our hot tub with Caribbean Pools & Spas and look forward to continuing to work with them in the future. We highly recommend Caribbean Pools & Spas for the installation of a new pool for your home! Pete, Elizabeth, thank you for the detailed and courteous attention and care you have and continue to provide in installing and maintaining our pool and hot tub. Pete, we truly appreciate the very high quality work that you and your folks did in installing our pool during the most challenging winter OBX experienced in a very long time - you not only did a fantastic quality job, but you did it right on budget and on schedule. Elizabeth, we feel fortunate that you are taking such good care of us and our guests in our OBX home. We found you based on recommendations and we are very happy to recommend you to others that need your help. Being an OBX owner for more than 10 years, we learned how difficult and stressful it can be to have work done on our property when we’re not there. Undertaking a major project was cause for concern. Thankfully we can say that working with Pete Kelly & Caribbean Pools was painless. As first time pool owners, Pete ‘held our hands’ every step along the way by patiently answering our many questions and educating us about the different types of pools. The team involved in the installation was professional and the quality of their work shows. We know that the pool will be enjoyed by our guests and our family for many years to come. We highly recommend Caribbean Pools to any OBXer interested in a pool. We took a chance and chose Caribbean Pools from the phone book. 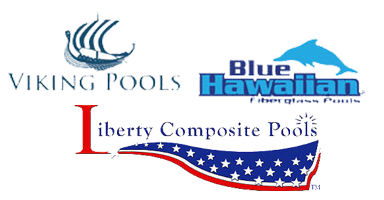 Within hours, Pete Kelly arrived at our beach house fully prepared with detailed information on our property, guest capacity, information on permits, and beautiful brochures. Caribbean Pools demonstrated themselves to be the right choice from the very start. Pete and his crew were on top of all phases of pool construction including surveys, permits, moving our septic drain field, and the actual pool installation. This was a godsend for absentee owners. He kept in constant contact with us through phone and e mail so that we felt we were part of the process. Once the pool was finished, Pete and Elizabeth stopped by whenever they knew we were at the beach to check on our satisfaction. A problem with the entry gate was handled efficiently and politely. In all we had a wonderful experience with Caribbean Pools and would recommend the company wholeheartedly. exactly that. They did what they promised with professionalism and timeliness. We are very pleased with our end result and would recommend their services for a quality job. Caribbean Pools and Spas, owned by Pete and Elizabeth Kelly, was a blessing in the sky during the planning and installation of our first pool. After contacting several pool companies for pricing and installation suggestions, we were really confused on what we wanted and what type of pool could be installed on our property. The frustration and confusion brought us to a point where we were ready to give up on the idea. Several weeks passed and as we were on our way to the Outer Banks, my wife noticed a billboard advertisement for Caribbean Pools and Spas and suggested that we give them a call as our last attempt to have a pool installed. We contacted them and invited Pete to our house to talk about pools and installation procedures. His presentation was thorough, covering every aspect of the project including a possible septic issue as well as a land- coverage issue. After many emails and phone calls, we met with Pete again to finalize our plans and we were presented a well-developed contract. Pricing was always a concern for me, but the price that we were quoted was a great price and very competitive. The final price at completion did not change other than items we had added to the initial contract. We have now completed a summer of fun in the pool with kids, grandkids, and friends as well as having a cover installed and having the pool winterized with no issues. We love it! Butch and Linda Writtenberry - Suffolk Va.
We have always wanted an in ground pool and over the last two years we looked into several different companies on the Outer Banks to install one. We settled on buying one from Pete and Elizabeth at Caribbean Pools. Pete came to our house and answered all our questions thoroughly, two years in a row! Pete didn't push his pools on us. He was very open and honest about it all. He set up a date convenient for us and he was very prompt on being here and installing the pool. He knows his business. We had a few questions that were probably silly to some, but Pete or Elizabeth called us right back and had the answers for us. We highly recommend Caribbean Pools to anyone that wants good, honest and friendly people installing their pools. The pool looks fantastic! The only thing I regret is taking two years to make the decision to install one. At least when I did take the plunge, I made the right decision on the installer! Caribbean Pool did an excellent job when putting a pool in the backyard of my beach house. I love it! The workmanship is perfect. I receive many compliments from both my friends and renters. There were obstacles pertaining to the site that Mr. Kelly had to overcome which he achieved in a timely and efficient fashion. Communication is excellent and we continue to be pleased with the pool service they provide. Pete, I wanted to thank you and Caribbean Pools again for your efforts in installing a pool at our new beach house in Whalehead Beach Corolla NC. Having worked myself many years ago for a commercial pool builder, I had very specific ideas about the project including the plumbing and electrical designs, equipment selection, and the installation quality that I was looking for. Needless to say, you and your staff more than met my expectations. The quality of the job was excellent and you and your staff showed a willing flexibility to tackle last minute changes even going beyond the original agreement to make certain the overall job was done right. I would strongly recommend you to anyone looking to install a new pool in the Outer Banks. We have been homeowners in the Outer Banks for 12 years and have had many pool companies care for our pool. Caribbean will be our last. Elizabeth and her crew are dedicated to caring for our pool as if it were their own. We have complete confidence that the pool will be clean and sparkling for our guests each week and that whatever arises, it will be taken care of in a timely and professional manner. We are so pleased with their services. The pool was also installed by Caribbean. Pete spent a great deal of time researching the best way to proceed for a very complicated installation. We are so happy with the results and highly recommend Caribbean to anyone who wants a beautiful pool, well kept, with the peace of mind of knowing it is in excellent hands. Holly and I are so happy with our new pool that Pete installed this year. We were under the gun after our March purchase and things had to get complete before the season started. Pete promised us that it would be completed by the end of May, and he delivered. He was our eyes and ears for the project and really became our general contractor at times. We couldn’t have done it without his experience with the County of Duck and his contacts. He took an overgrown backyard and turned it into an oasis.. Another key factor is that Pete does an excellent job staying within budget, it’s easy to go overboard, but he reminds you of the long term goal. I wouldn’t thank twice about using Caribbean Pools, and believe me, I looked at a number of installers prior to making a decision. No question about who to use. We are also happy with our constant feedback about our property from the pool maintenance side. Elizabeth keeps up in the loop and coordinates cleanings with our management company. Solid operation all the way around. Thanks again! – JOHN & HOLLY MARTIN JUNE 2012 DUCK, N.C.
Caribbean Pools & Spas was the 5th local pool company that my husband and I had called when we were searching for a pool contractor. 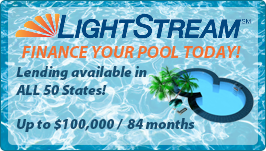 We wish we would have called Caribbean Pools & Spas first and saved ourselves months of time and frustration. Pete Kelly was the first and only local pool contractor that actually met with us in person at our home. He came over with informative brochures and answered all of our questions. He walked around our shallow backyard with us and listened to our vision of what we wanted, and thought we would have to settle for based on our previous telephone contacts with other pool companies. Not only did he improve on our design of a backyard swimming pool, but he showed us that we could actually have more pool for the money. From start to finish, Pete oversaw the entire process, and kept us informed every step of the way. From the Office Manager who answers the phone to the pool installation and maintenance crews, Caribbean’s staff was courteous, professional, and clearly experts in all phases of pool design, installation, and maintenance. After our pool was completed, Elizabeth Kelly met with us to start up the pool and showed us everything we needed to know about maintaining it. She is always available whenever we call her with questions, and has helped us to keep our salt water pool fresh, clean and in sparkling condition. We absolutely love our pool, and we can’t recommend Caribbean Pools & Spas highly enough. We look forward to a long and continuing relationship with Pete and Elizabeth Kelly for many years to come! Our experience with Caribbean Pools, and especially with Pete and Elizabeth Kelly, has been overwhelmingly positive. The new pool and deck Pete and his crew installed looks wonderful-and we’ve received a lot of compliments from our renters, as well. Elizabeth has done a great job maintaining the pool and hot tub and keeping in touch with us as the season progressed. We would highly recommend Caribbean Pools to anyone who is searching for a pool installer and/or pool maintenance company. Pete and Elizabeth are a great team! We LOVE our pool! Thanks for all the advice and help along the way. We really feel you went the mile for us in getting it done. “I have vacationed on the OBX for over 60 years, and finally bought our dream cottage on the ocean in Southern Shores in 1998, a relatively small, old-fashioned, cozy cottage, compared to other mega-mansions on the beach, but perfect for our family. As an ocean lover, and with grown children, my husband and I had not thought about adding a pool. I had heard that a pool would improve rentals, and at higher rates, but our rental history had been good (we are on the beach and as dog lovers we allow pets), so we kept putting off the discussion. Two factors turned the tide, so to speak: the arrival of our grandchildren, and the red jellyfish invasion on the beach! At that point I began interviewing pool construction companies in earnest. I wanted to integrate the pool design with the style of the cottage, and landscape to create a natural environment. 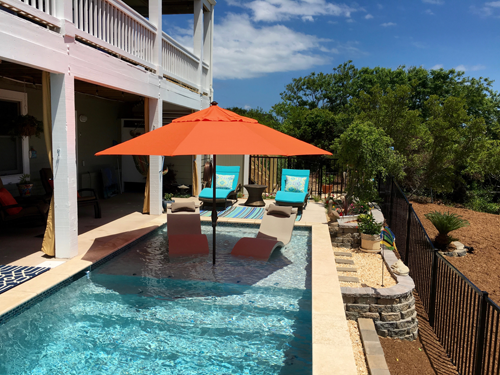 Other pool companies trotted out their standard concrete pool package for rental cottages, but only Caribbean Pools was able to capture my design vision, improve on it, and then implement it. The construction was on time, on budget, and the personal attention to service was stellar. Progress pictures were emailed to us at regular intervals, with updates. And the impact on rentals has been amazing. We were never fully booked in April and May in the past, but this year we have been booked solid, and now there is barely time available to reserve for our own use, even on the shoulder months! But most importantly, we have enjoyed the pool with our little ones, not only on days when the ocean was too rough or too cold, but every day at some point during the day, for swim lessons and relaxed play. Caribbean Pools did an excellent job, and we are so pleased with their personal service that we are continuing to use them for all of our pool and hot tub maintenance. Caribbean Pools is a great company, with expert landscape designers, and superb service. I want to thank you for helping us design and install the perfect pool for our beach cottage in Southern Shores. From the moment the cottage was listed with the property management company, it rented for the entire summer and beyond. Certainly the pool greatly contributed to the rental success. We are very happy with the workmanship and result of this project and would gladly recommend your company to prospective customers. Pete Kelly and Caribbean Pools were simply terrific! Our installation included not only a pool, deck, and electrical installation, but also included significant regarding and the installation of a new septic system. Even though some of these items were outside the scope of our contract with Pete, he ensured that all tasks were performed to our satisfaction. I couldn’t be happier with the end result. I highly recommend Pete Kelly and Caribbean Pools and would use them again in a heartbeat. Our experience with Pete and Elizabeth Kelly was outstanding. We first met Elizabeth at the Southern Shores Spring Fling. We invited Pete to our house to talk about pools and hot tubs. His presentation was thorough, covering every aspect of the project, including an unexpected septic issue. Pete consulted all the sub contractors (electric, fence, septic, plumbing) and gave us a solid price that did not change. The price was also the most competitive. Pete’s sub contractors were quality individuals who did fine work. Elizabeth designed and recommended placement of the pool, hot tub, fence and green area. She has the ability to make the project come alive in your mind as well as make on site choices when we were not there to do so. The final product is beautiful. Pete, Elizabeth, and Caribbean Pools will stay with us to maintain our pool and hot tub. We hope to maintain a long relationship with them. They are great folks. Dear Pete, We can’t thank you enough for the beautiful and professional work done by your team at Caribbean Pools and Spas. Doing a project of this size long distance was an initial concern. But your consistent communication and updates provided us with the comfort level we needed that our project was on track. We appreciate your efforts in leading us through the entire process; from pool location, pool shapes, cement work, landscaping, fencing and those special touches that helped us create the pool of our dreams. Words cannot express how impressed we were when we saw the completed pool area; it was overwhelming! What you provided exceeded our expectations! Thank you for treating this as though it were your own.